Lightning Bugs was one of the most personally important collections that I have designed, partly because it was my fist ever collection for home-sewists and quilters, and partly because it marked a major transition creatively and personally, and the beginning of a new an happy chapter in my life. I remember very clearly (and very nervously) showing it to Amy Butler, who I was in awe of, at my very first quilt show, and her words, which were " This is going to make people really happy". That seemed like the best news I'd ever gotten. It was well received, but short lived. I have watched for 13 years (!) as it's become more collectible, it's prices in the re-sale market making it virtually impossible to buy, feeling as frustrated as anyone that it wasn't more available to anyone who wanted it for their own personal use. I sold off my own stash (or so I thought) long ago, never at much more of it's original price. When I learned that there were still a few bolts kicking around, I knew immediately that I wanted to sell it in small quantities directly to the same home sewists and quilters that have shown me so much support, at a price that everyone could afford. I could not have imagined the response that we have gotten since our announcement last week. I am both touched and shocked by the demand for these fabrics. After a lot of consideration, I've decided to print more of it to meet this anticipated demand. I have the assurance of the mill that they will match the prints and the original fabric ( a brushed poplin) exactly. I'm offering it on a pre-sale basis only, and only printing a limited amount. We expect it to sell out. It's available only from me, not from Windham Fabrics or in retail stores. I won't be able to sell it to retailers or manufacturers. Customers are limited to two pre-packs each. So, to the questions regarding wether or not this is a re-print, I have to say both "yes" and "no". Some of you have asked because you loved the original substrate, which was the soft, sanded poplin that I helped develop 14 years ago with Free Spirit Fabrics. This is the same fabric, the same art (mine), and the same colors. The price will be pretty close to the original too, at about $14 a yard. If you love this collection for what it is, because you love gnomes or had a bicycle with a banana seat or remember riding in your father's VW bus as a kid, I think (I hope!) it will make you really happy, which is, ultimately, what I have always strived for as an artist. But for anyone wondering if this fabric will have the same re-sale value than the original yardage, I'm not sure what to tell you. I don't set (or charge) those prices. I think maybe time will tell. BUT, maybe this sale isn't for you. And yes, if all goes as planned, I'll offer the other half of this collection at some point down the road. Its hard to say now when or where. And yes, I'm still happily designing fabric for Windham, more than ever actually, but this collection is all me. This month has been so full of launches and new things that it's been a bit hard to keep it all straight, but it does add to the general headiness of it finally being spring here in New York City. We are absolutely knee deep in the launch of TigerLily, my new line for Windham, and are so looking forward to hearing what everyone thinks. Really. I've also got two new sets of online classes at Creative Bug, and a new fish named Swimmy Swimmy Firetruck. I know. Spring has totally sprung. Weather-wise The Catskills are another story entirely. Bee and I spent last week watching the big patches of snow around our house upstate slowly recede, but there was still enough of it to inspire a few snow angels and even more cups of hot cocoa. This late snow does have me wondering about our precious ramp season, but since they will eventually spring up in many American forests (and almost every greenmarket these days), I've included a very spring-y recipe for them below. This isn't mine, not really, but rather my riff (with ramps partly subsituted for scallions) on David Chang's riff on NY Noodletown's scallion noodles. Best eaten during a rainstorm at your kitchen table at 3 am with the door open and a cold IPA in your hand, if you ask me. 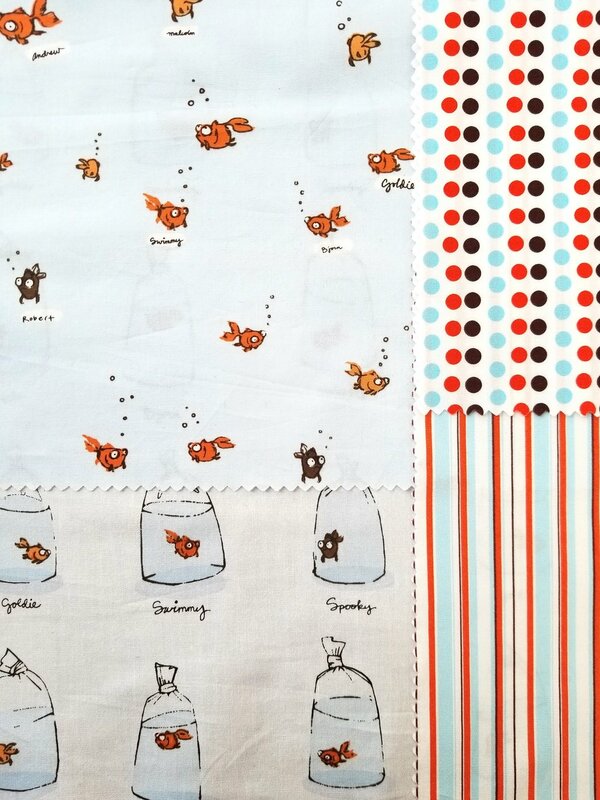 Here's a very thorough look at my new fabric collection, TigerLily. 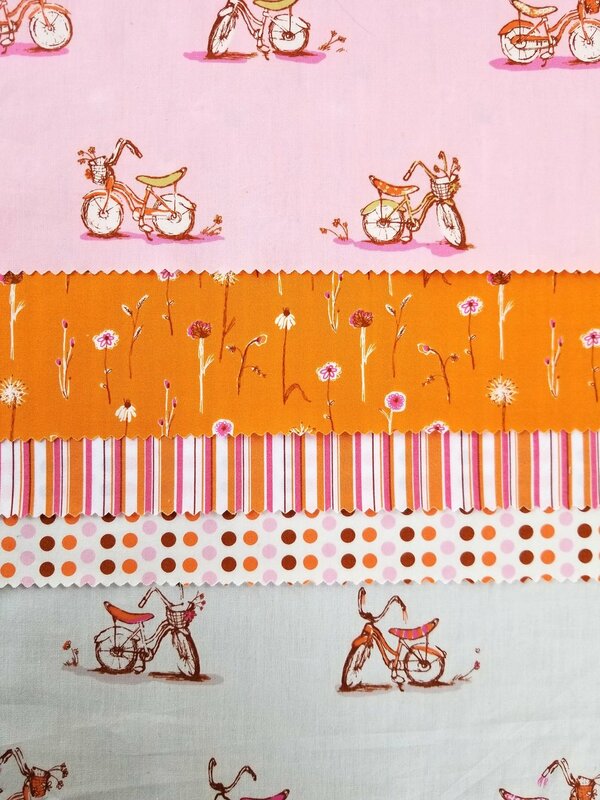 Due in stores in late summer, the line includes 23 designs (7 unique prints in all) on quilting cotton and 5 designs on a lovely lightweight cotton lawn. If you are wondering about the name, it’s for the flower that inspired the predominant color story in this collection, an exotic orange and almost-black dappled lily that grew in a quiet corner of our yard on West Hill in Vermont. It seemed to me never to completely fit in, so I always tried to love it especially hard. Also here, finally, is a print that I have tried and failed many times to bring to life, about children and trees, and a print about barn cats and their babies inspired by the last chapter in my memoir (that word never gets less pretentious to write or say, does it? ), How To Catch a Frog. 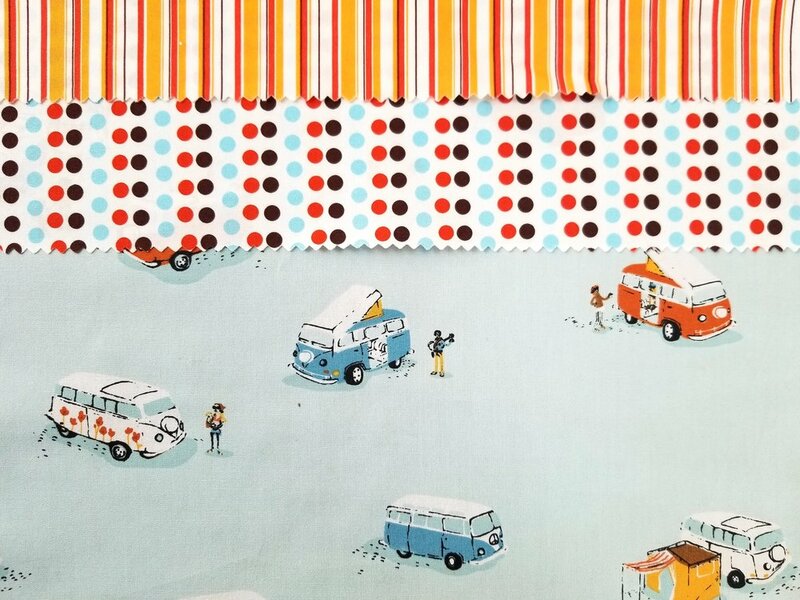 Collectors Packs include 1/2 yard cuts of each of the 23 prints on quilting cotton, which will be more than enough to make up our TigerLily Corners Quilt (pattern included) and this set of two (because we love paired, matching prints, especially in kids rooms!) signed 11 by 14 prints on heavy fine art paper. We'll only be making these Collectors Packs for those who reserve them, ans will be taking a limited number of orders. Reserve yours here. I’ll be at Quilt Market in Minneapolis in May with Windham Fabrics. Come by to see the fabrics in person if you are attending, or to pick up an autographed book, or just to say hello. I’ve just launched a new series of online classes over at Creativebug. This is a three part series about drawing and Illustration, and for those of you who have been following the Fabric Design series you’ll see that a lot of the content relates to that as well. You can watch a trailer for the final class, which premiers next Tuesday, here. Creative Bug is also hosting a very fun little contest, In celebration of the series, they is running an Instagram contest for the next 2 weeks. Here’s how it works: Each week, share a picture of your drawing progress on Instagram. Maybe it’s a work in progress, maybe it’s a finished masterpiece, maybe it’s all your drawing tools organized perfectly in a drawer. Because that counts too. Include#creativebug and #cbugsketchbook in the description. Creativebug will announce a new winner each Tuesday on their Instagram feed and their blog post. We can’t wait to see what you’re drawing! And if your kids are taking the class along with you, we’d love to see their work as well. Ramps, which are sort of wild leeks, have reached cult status in the world of foraging and locavore. I remember picking them in Vermont with my mom when I was small in spots that were so marshy that I worried a little about falling behind and getting swallowed up by the ground underneath you. Below is a link to a great article about where to find them, though the easiest spot is probably your farmers market or Whole Foods. You'll find many many wonderful recipes for them, but this is my new favorite. Here's a link to David's recipe, which also appears in his cookbook, which I own and love and highly recommend. My version calls for replacing about 1 cup of the scallions with 1 cup fresh, chopped ramps. I would also suggest using a microplane to chop your ginger, which I keep in my freezer. which makes it incredibly easy to grate. I topped mine with crunchy pickled cucumber, another recipe from the Momofuku Cookbook, which was perfect. I used these noodles, which are easy to find around the city. I like the way this works with everything chilled, and recommend running the noodles under really cold water for a few minutes after they cook. And remember. Open Door. 3 am. Rainstorm. IPA. In celebration of How To Behave At A Tea Party, Harper Collins created fantastic fancy hats! You can learn how to make your own fancy hat here. And join Heather Ross and Madelyn Rosenberg Sunday November 16th from 11:30am - 1:00pm at Books of Wonder in NYC for a special storytime of How To Behave At A Tea Party. Don't forget your fancy hat!